How BroadNet Technologies Excels In Mobile App Development Service? Considering the rapidly growing trend of building mobile-friendly apps, a multitude of evolving businesspersons from all walks of life follows the suit of other established businesspersons to reach their target customers readily and timely. Apart from that, it also helps these business entrepreneurs to prepare their target audience about their brands and products/services much easily. There is a mass of reputable mobile app development companies that deal in the creation and development of mobile friendly apps. 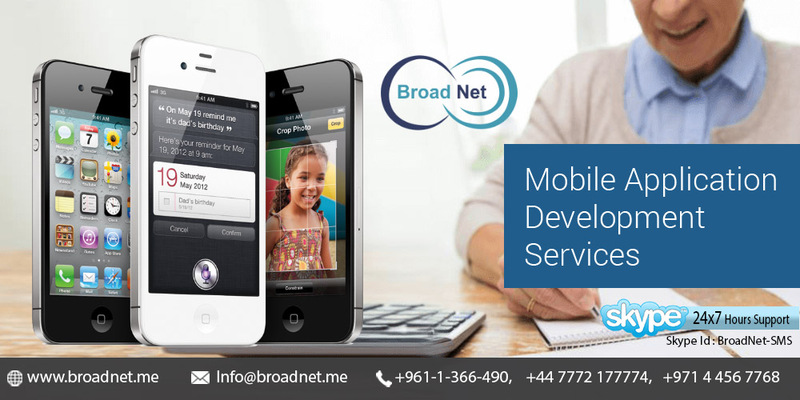 BroadNet Technologies is one of them, which is specialized in developing and designing mobile apps of different types that are friendly to all platforms. We are dedicated to building mobile applications that can grip the attention of the mobile users readily. BroadNet Technologies is a team of qualified designers and developers who have a good mastery of designing and developing mobile applications according to the specifications of clients. While carrying out any mobile app development project, the company consistently utilizes state-of-the-art technology and innovative initiatives to exceed the expectations of the clients. The award-winning mobile app development team of this company has been a real smasher in developing a vast range of apps for different business purposes. After all, the company has been at the cutting-edge of developing A-one mobile apps for a decade and with that said, clients’ satisfaction is guaranteed. Our mobile app development company is dedicated to designing and developing mobile applications that are free of otiose shadows, swirls and fonts with the ultimate goal of furnishing with transparent and blue-chip platforms for the phone users. This entails that apps with least amounts of gradients, shadows and other inappropriate aesthetics can offer a virtuoso performance without any compromise on quality. Our mobile app developers are very good at creating easily readable icons with the incorporation of vivid colours. They also reckon with the extent of the logo so that it can readily spark the interests and keenness of target users. The company has also been at the vanguard of developing top ten user- interface design tools to facilitate clients in creating out-of-this-world mobile apps to grab the attention of the Smartphone users on the spur of the moment.